You like to be “in the know,” right? You like to get the inside scoop on new and unique money-growing opportunities that can positively affect your bottom line. Well, a critical component of success in anything in life is TIMING. And I’m here to tell you that you’re in the right place at the right time. Case in point: Last year, the craziest profits made from market speculation were not in gold, stocks, or Forex… they were made by people speculating with Bitcoin – the world’s first decentralized cryptocurrency. Maybe you understand what it is and maybe you don’t. But there’s no doubt, it’s one of the hottest investment trends in the world right now. Did you know that one single dollar invested in Bitcoin in 2009, became worth as much as $124,200 in 2013? In January 2013, the price of one Bitcoin was just $14. By November 2013, Bitcoin reached an all-time high of $1242. As of this writing, the price is now hovering around $800 per Bitcoin. Many of those who bought in earlier when it was just a few cents per Bitcoin are now millionaires. The good news is that it’s not too late to get into the cryptocurrency game and still be able to see significant gains within the next few years. I believe what we’ve seen so far is only the tip of the iceberg. The founders and financial backers of Google, Facebook, Twitter, LinkedIn, Skype, Yahoo, and many more are enthusiastically moving into Bitcoin. MoneyGram is becoming a major Bitcoin player, and the president of PayPal has admitted they’re considering accepting Bitcoin. This is a big deal. There’s clearly money to be made here. Otherwise, these big players wouldn’t be interested. How do YOU get into this game? I’ll get to that in a second, but let me preface it by saying that even though Bitcoin’s profit potential appealed to my renegade tendencies, I didn’t get bitten by the Bitcoin bug early on. To be honest, for the first few years I wondered whether it should be called “Tulipcoin” instead, thinking that it could end up being another case of tulip mania. In fact, up until last summer, I was still on the fence about it, which left me feeling hesitant to get on board and endorse it wholeheartedly. Long story short, I don’t feel that way about it now – quite the opposite, actually. I’ve diilled countless hours of intensive research into a new report that covers the bases on what you need to know to get into the Bitcoin game. I spell it all out for you in Plain English. After reading it, you’re going to know what Bitcoin is, what you can use it for, and how you can profit from it right way, starting with less than $100. 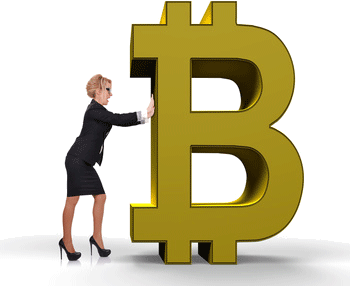 I’ll even give you a list of websites where you can get small amounts of Bitcoin for free. You’ll also learn about a completely hands-off system I’m personally using that allows you to make ridiculous returns. We’re talking the potential to make up to 48% returns per month on autopilot. If you’re new to Bitcoin, I assure you you’ll have your eyes wide open as I connect the dots and share the straight facts and money-multiplying strategies you can use to get your piece of the crypto world’s $10+ billion pie. Then, if you decide to jump on the cryptocurrency bandwagon, you’ll be doing so from a reality-based standpoint. Because the better you understand it, and the earlier you get into it, the more you’ll benefit. Inventions like Bitcoin only come around a few times each century, so if you’re looking for that rare, life-changing investment, this could be it. Click here to get your hands on our exclusive report you won’t find anywhere else. Brad Weinman is the Co-founder of M4 Research and Chief Research Analyst for M4 Insider, a private wealth-building membership club that provides exclusive access to insider money-growing and money-saving strategies ordinary people are using to retire early and wealthy.